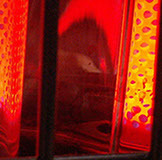 Installation and Service of many makes and models of systems. Whether for a home or large mutli-unit commercial systems, we have you handled! 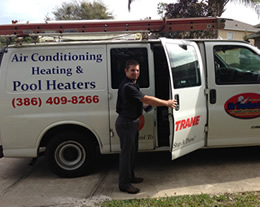 Furnaces, boilers or heat pumps! We can service or install whichever unit you have or need. 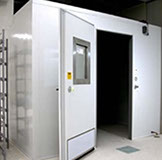 Small refrigerators to large full room walk-in refrigeration/freezer units we have the expertise to build, calibrate and repair even the most complex units out there. As well as design one for your specific application. When it comes to warranty repair either through home warranty or manufacturer warranty. We have built quite a reputation as being the clean and courteous service technicians. We strive to have the job done right the first time to your satisfaction! 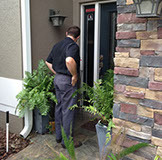 We will travel to all areas in central florida and surrounding areas. We strive for same day service in most instances. Give us a call and see why our customers are so happy!! 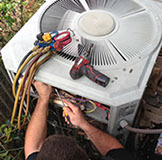 Your emergency air conditioning repairer, as well as being available 24/7, should be able to respond to your call within a reasonable time frame. What is your service/travel area? 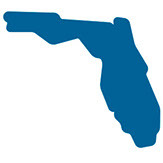 Orange, Seminole, Volusia, Lake, Polk, Osceola, and Brevard counties. We do have 24/7 emergency service and our customers will be dealing with live personnel. Do you provide service to business facilities also? Do you service certain brands? How much is a service call fee? Our service fee is $75.00, however we shall apply at least ½ of this fee to a repair during normal working hours. We charge NO overtime fees at this time. The service fee includes the trip charge and ½ hour of diagnostic time. Do you offer 2nd opinion for free? We offer free estimates for replacement systems, not repairs. However, we will give a free second opinion to customers in our area as long as the customer shows us a paid invoice of what another company has told them the problem. We will offer a 10% discount to new customers on repairs, and a 5% discount to new customers on system replacement when they mention a code on the website.